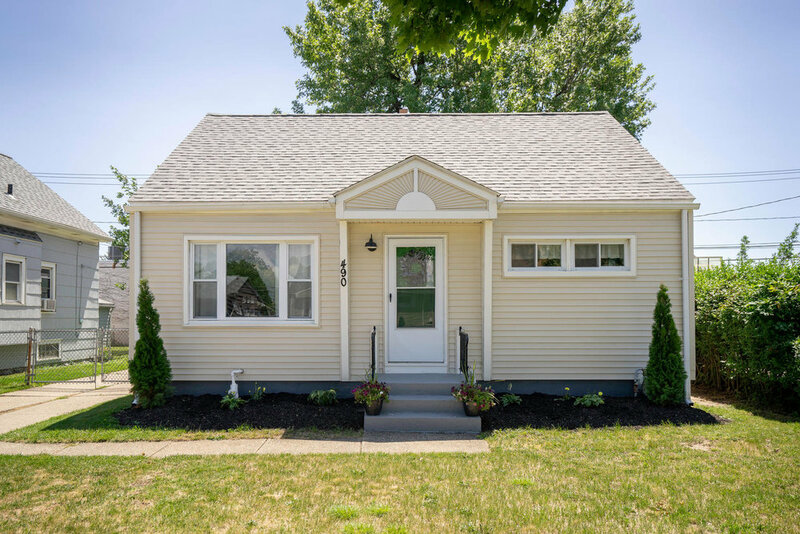 Unique modern upgrade to Kenmore Cape with private yard & attached deck + patio. Exceptional use of space including additional loft space great for playroom, office, etc. Stylish, contemporary upgrades set this home above others you've seen on the market. Eat in, updated kitchen with granite counters & all appliances included. Large bedrooms with good closets. Fully fenced yard. SHOWINGS BEGIN SATURDAY, 8/4. UPDATES INCLUDE: FURNACE & A/C, LIGHT FIXTURES, DECK, FLOORING, DRAIN TILE, AND PAINT ON GARAGE AND INTERIOR OF HOME. For full listing on W Hazeltine, click here. For a virtuall tour of W Hazeltine, click here.